Welcome to Christmas in July! When I made my 13 for ‘13 goals I mentioned that I wanted to start working on holiday projects in July. Last year was a mess, and my hope is to avoid some of the holiday drama and stress by doing a little planning now. My little boy was in awe of everything Christmas last year, and I don’t want to miss a second of it this year by being too busy. 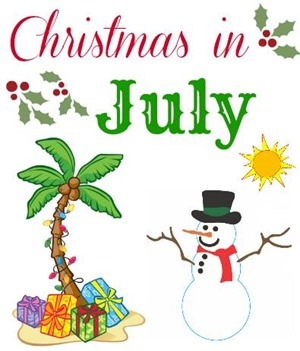 I hope this Christmas in July series will help you get the jump start also, but if you aren’t quite ready to be in the Christmas Spirit, “pin it” for later. That way you will have the ideas ready and waiting when you need them. My first project is a little ornament that can be used as a decoration on your own tree or a thoughtful handmade gift. 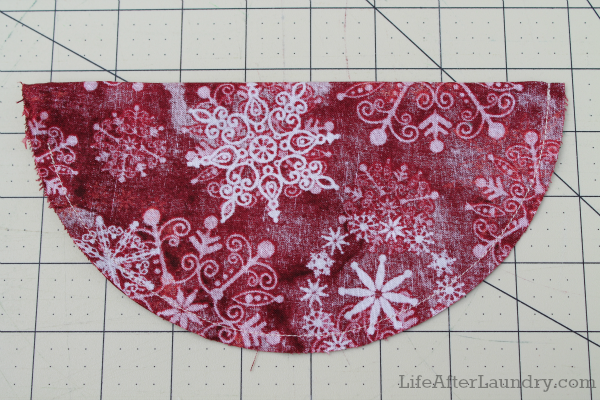 This adorable ornament is quick to make, and you could even use fabric scraps to make them. Cut out an 8 in circle. I used a salad plate as a template, but you can use whatever is round that works for you. 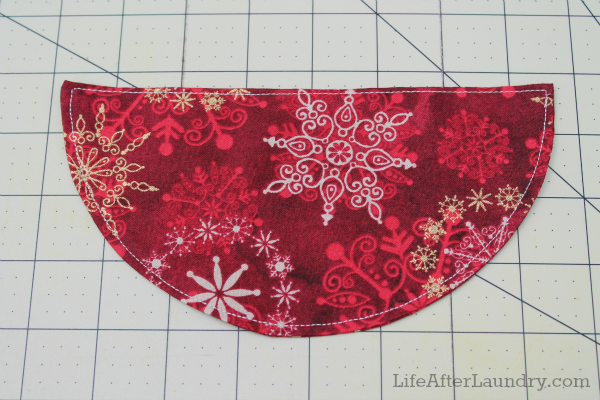 Fold it in half, right sides together, and sew around your edge stopping about an 1 1/2 from the edge, leaving that open. Turn right side out and press. 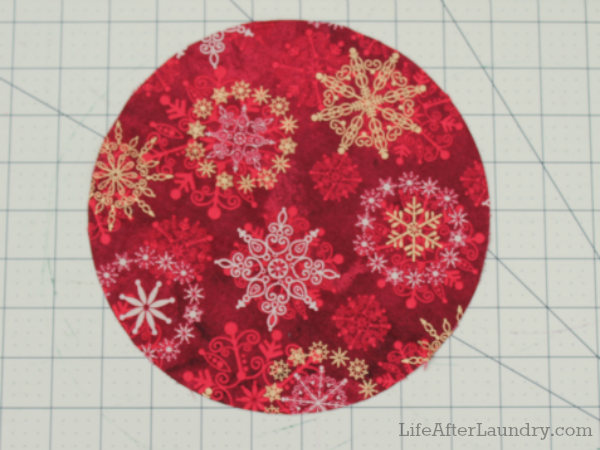 Topstitch around the entire half circle, enclosing your opening. About 3 in from the left side, fold the right side of the fabric over and continue to go back and forth until you come to the end. Press into place. 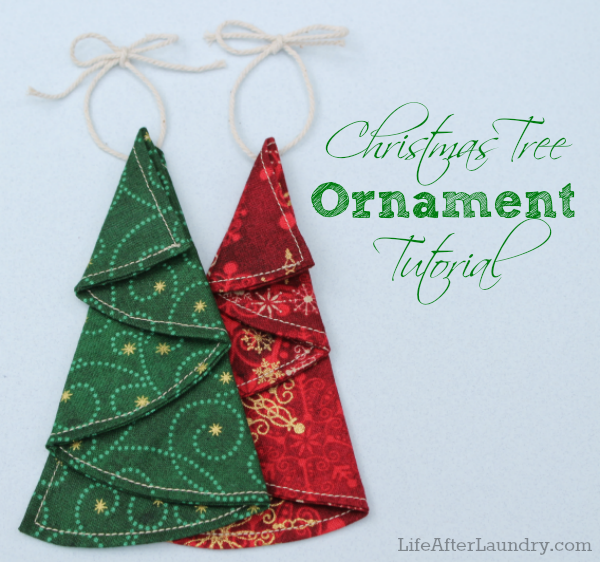 Attach ribbon or twine to the top on the Christmas tree. Hand sew the twine onto the back of the tree running the thread only through the first fold, so it won’t show on the front. I love these, I love the idea of this series, we need to talk about those nails though 😉 Just kidding. I’m glad you were able to get this up and get your series started! Cassie @ Southeast by Midwest recently posted…My Summer Favorites? Great idea! These look easy to make and now’s the time to get started on them! So cute! 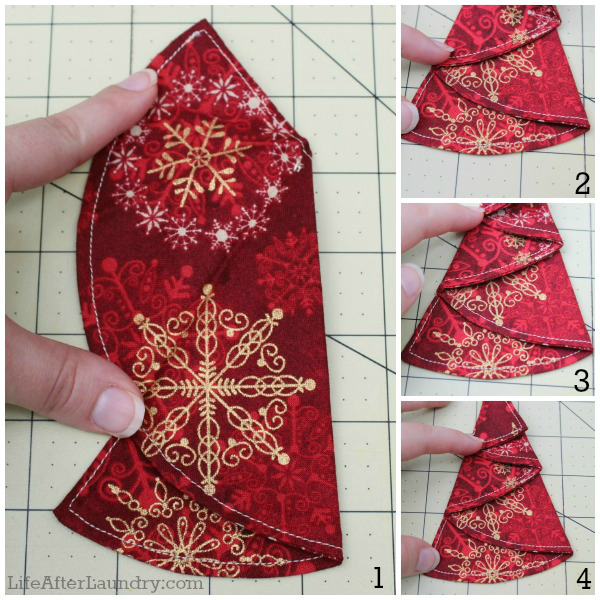 It seems pretty easy so I guess I should start practicing with this project 🙂 I like the way you started this Christmas in July series– with a great tutorial. Love this idea! 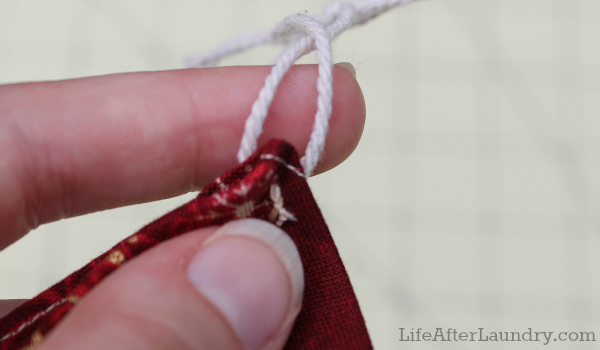 Might even try it with scrapbook paper – ’cause I’m too lazy to get out the sewing machine! Pinning this one! Scrapbook paper is a great idea! These are beautiful. If I can work up the motivation and find a place that sells fabric in China, I think I’ll make these for my coworkers or for Christmas prizes next week!